TONIGHT! 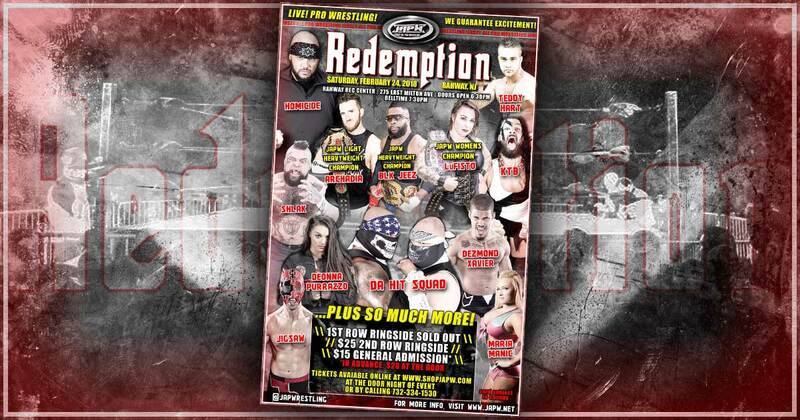 JAPW Presents Redemption in Rahway, NJ! Jersey All Pro Wrestling proudly presents “Redemption”, TONIGHT at the Rahway Rec Center, 275 East Milton Ave, Rahway, NJ. Doors Open 6:30pm, Belltime 7:30pm. The building is located just minutes off the NJ Turnpike, Garden State Parkway, and Routes 1 & 9. The Rahway Train Station is less than 1/2 mile walk, and is accessed by the NJ Transit trains on the North East Corridor or the North Jersey Coast Line. For directions, please visit https://www.japw.net/directions/rahway-rec-center . Tickets will be sold at the door, no one will be turned away. General Admission $20, 2nd Row Ringside $25 (very few remain), 1st Row Ringside SOLD OUT. Cash & Credit accepted. Stay tuned to all of JAPW’s social media accounts and website for the latest news, results, and more! Thank you, and hope to see everyone tonight in Rahway, NJ! The Clockwork Angel Katred and Shlak speak on KTB & LuFisto, who they will be facing at “Redemption” in a STREET FIGHT on February 24, 2018. JAPW Women’s Champion Lufisto and KTB team up to face Shlak & The Clockwork Angel Katred in a Street Fight match on 2/24 at Redemption in Rahway, NJ. Hear what they have to say! 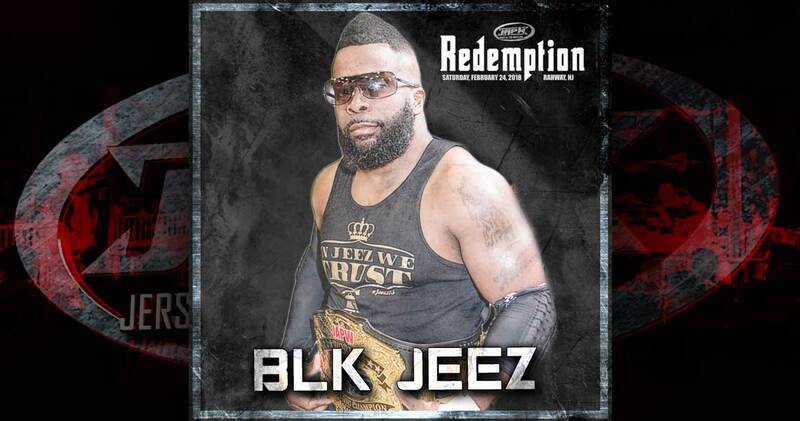 JAPW Heavyweight Champion, Blk Jeez, has just been signed to appear at Redemption on February 24, 2018. PLUS… An Intergender Tag Team Street Fight match where JAPW Women’s Champion, LuFisto, teams up with KTB to take on Shlak & Katred! …SO MUCH MORE TO BE ANNOUNCED!! 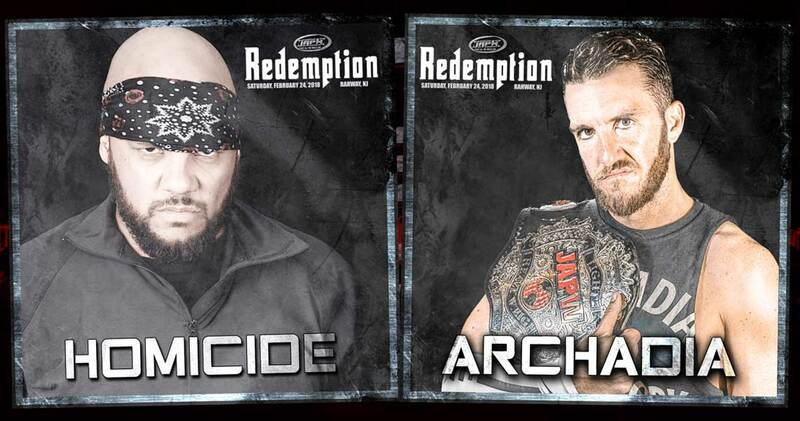 Homicide & Archadia To Appear At Redemption! Two additions to Redemption on February 24, 2018 in Rahway, NJ have been announced over the weekend as the “Notorious 187” Homicide and JAPW Light Heavyweight Champion, Archadia have been signed to appear at the event! – JAPW Women’s Champion LuFisto & KTB take on Shlak & Katred in a Intergender Street Fight Tag Team match. 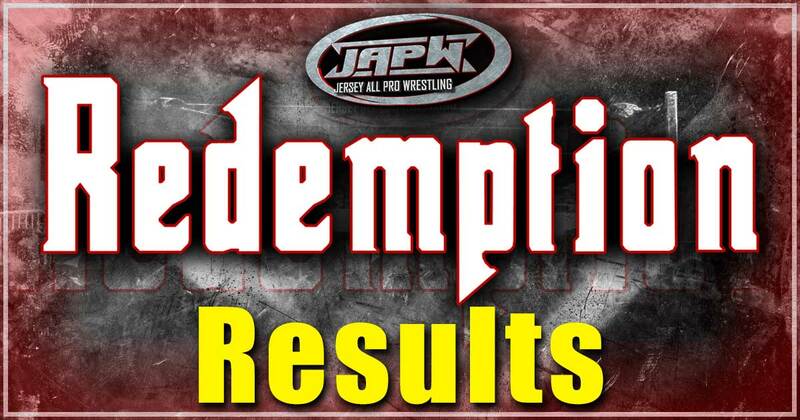 Announcements for Redemption can happen anytime and anywhere JAPW has a presence on such as Facebook, Twitter, Instagram, YouTube, this website, and even the JAPW mailing list! Keep back for the latest updates heading into Redemption! 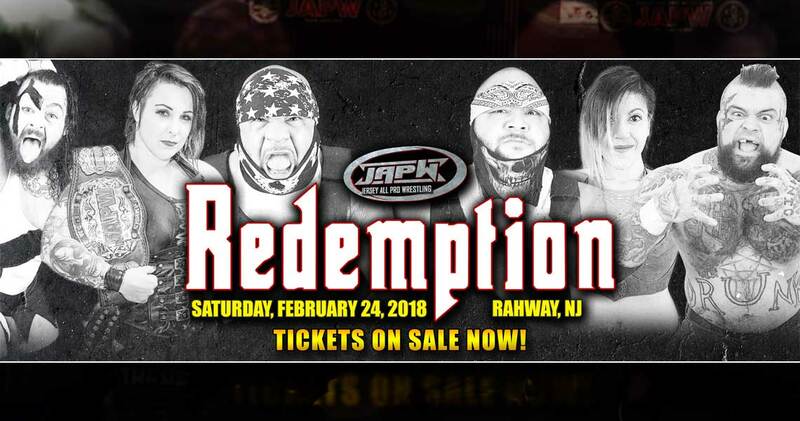 Get Tickets For JAPW Redemption on 2/24 in Rahway, NJ! (BAYONNE, NJ) Jersey All Pro Wrestling is happy to announce that tickets are now on sale for our February 24, 2018 event “Redemption” in Rahway, NJ at the Rahway Rec Center on 275 East Milton Ave in Rahway, NJ with a 7:30pm bell-time. Doors will open at 7:00pm. For the first time Jersey All Pro Wrestling is now offering the following combo packs for new and existing fans. This is a great opportunity for families and friends to take advantage of to save when attending a JAPW event. Get 5 General Admission tickets for only $75, instant savings of $25 (or $15 per General Admission ticket). Get 10 General Admission tickets for only $150, instant savings of $50 (or $15 per General Admission ticket). Da Hit Squad will be in action! In a mixed tag Street Fight, JAPW Women’s Champion LuFisto teams up with KTB to take on Katred & Shlak! And so much more to be announced! Stay tuned right here to www.japw.net, and all of JAPW social media outlets for the latest news and announcements heading into Redemption! Witness “Limitless” Keith Lee challenge Blk Jeez for the JAPW Heavyweight Championship, Matt Riddle taking on Kyle The Beast, Jonathan Gresham challenging Archadia for the JAPW Light Heavyweight Championship, a No DQ JAPW Women’s Championship match, and more! LuFisto & KTB takes on Shlak & Katred in a Mixed Tag Street Fight on 2/24! 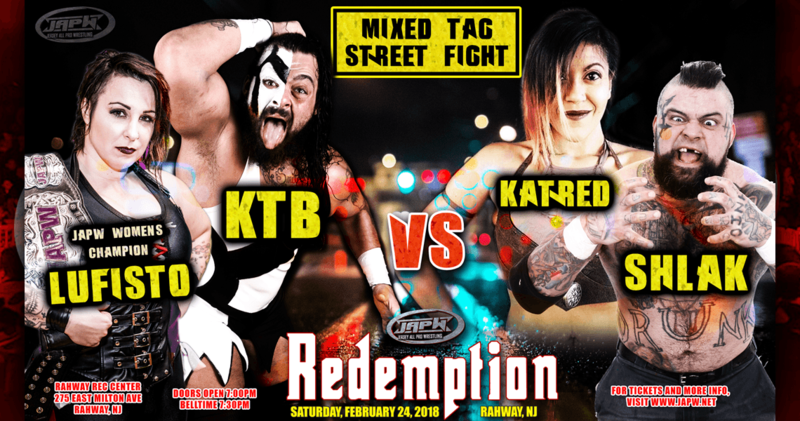 On February 24, 2018 LuFisto will be in action teaming with KTB to face off with Shlak & Katred in a mixed tag Street Fight match on February 24, 2018 in Rahway, NJ at “Redemption”. If you missed JAPW Uprising, immediately following the Riddle vs KTB match, Shlak & Bear Bronson with Katred attacked KTB which led to the newly crowned JAPW Women’s Champio LuFisto coming out for the save only to also be taken down. Earlier in the night, KTB also assisted Lufisto when Shlak & Bear Bronson came out following Lufisto’s title win.